Questions? Comments? Want to sell us some stuff? 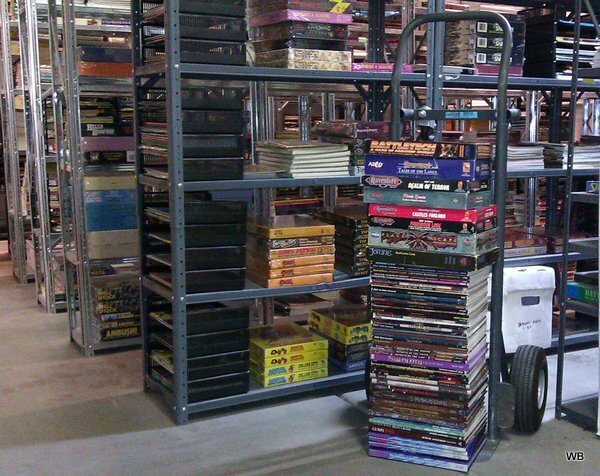 If you have some books, games, or pretty much anything you'd like to sell or trade, tell us about it! We pay on what we'd spend if we saw the same lot up for auction. For a quote, we'll need to know what you have, and the condition (wear, markings, completeness, etc.). Lists are good, photos even better. Or you can just box it up, enclose a note, mail it to us, and we'll send you a check based on what's there. Either way, you'll get the same payout. Note that this site is the Wayne's Books RPG Reference. Think of it like a museum of RPGs. To see what's currently in stock at Wayne's Books, please visit the Sales Site. Thanks! Sorry the email address isn't "clickable" but we get overrun with spam if I post a clickable link.